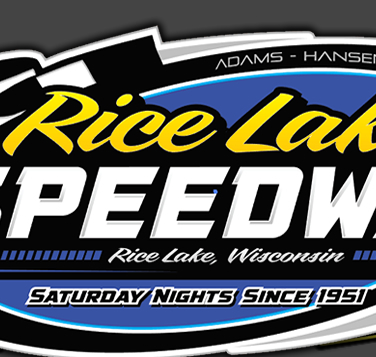 RICE LAKE, WI (July 13) – Bill Balog completed a weekend sweep of Bumper to Bumper IRA Outlaw Sprint Car action by topping the competition on Saturday Night at Rice Lake Speedway. After taking top honors at the Dodge County Fairgrounds the night before, Balog set his sights on his second victory of the weekend. When the checkered flag fell it was mission accomplished for the five-time and defending series champion as he made the trip to victory lane. A totaled career series victory number 54 is now in the books, one step closer to Joe Roe’s all-time win mark of 61. Balog would face some stiff competition this evening with two-time series champ Travis Whitney on hand for the show. Though he makes limited appearances these days with the series Whitney continues to be a formidable competitor when he appears. In qualifying Whitney narrowly missed the track qualifying record when he toured the banked third-mile oval with a lap of 12.253 seconds a mere .03 seconds off the mark set by Sam Hafertepe in August of 2006 when he had turned in a lap of 12.225 seconds. Whitney would then find himself in second place late in the A-main giving chase to Balog. However with a cushion of lapped cars between himself and Balog he never got an opportunity to attempt to run down Balog having to settle for runner-up honors. The weekend also proved successful for Scott Neitzel who debuted a new car at the Dodge County Fairgrounds last evening and promptly scored a third place finish. The machine performed flawlessly again tonight as he continues to coax more speed out of his new ride to earn his second straight third place finish. In doing so Neitzel has elevated himself up to third in the season long point chase. The 30 lap A-main event would be pushed off with Tommy Sexton and Neitzel making up the front row of the event while rookie of the year contender Lance Fassbender and Balog found themselves in the second row. At the drop of the green flag Sexton took control of the race with Neitzel slipping back into the second spot. The field barely began to sort itself out when the caution flag flew for a spin by Ryan Wilson who had shown a lot of speed early on in the program turning in the second fastest qualifying lap of the night. On the restart Sexton when back to the lead testing the cushion in the turns running an extreme high line which had allowed him to power away from the field. Neitzel found his second position in jeopardy immediately as Balog would dive to the bottom of the track and steal away the runner-up honors. Balog would then reel in Sexton performing a similar move by diving to the bottom of the track and using the momentum to cross over in front of Sexton for the lead on lap nine. Sexton was able to make a cross-over move and the pair ran wheel to wheel down the backstretch before Balog drove deep into the third turn to surge ahead with the lead. On the very next lap Wilson would again loop his ride, this time in turn four. The leaders narrowly missed his stalled machine which sat high in the turns with just enough room for both Balog and Sexton to dive between his errant ride and the wall unscathed. Wilson retired from the contest and racing resumed after the yellow flag period. Balog would set the pace at the drop of the green flay pulling away from Sexton while Neitzel was left to deal with Whitney who was seeking the third spot. Balog would soon encounter lapped traffic placing several lapped machines between himself and Sexton. Sexton’s shot at victory evaporated as he pulled into the infield on lap 19, turning second place over to Whitney who had worked past Neitzel. The final caution of the night occurred on lap 21 as Phillip Mock rolled to a stop in turn two with a deflating tire. Mock was able to rejoin the contest at the tail of the field after some quick pit work. Balog accepted the final green flag of the night with a cushion of several lapped cars between himself and Whitney which allowed Balog to secure a solid lead before Whitney broke through lapped traffic. Balog spent the final laps keeping a good margin on Whitney taking the win by over 4 seconds. Whitney earned his best run of the limited appearances he made with the IRA this season taking second while Neitzel crossed the finish line in third. Fourth place showcased a race long battle between Scott Uttech and rookie of the year contender Lance Fassbender. The both drivers sporting #7 on their rides dueled throughout the contest with Uttech hugging the low line and Fassbender working the high groove. The pair swapped the spot on several occasions but it was Uttech ahead of Fassbender at the checkered to score his best finish of the 2013 season in taking the fourth spot. Fassbender would settle for fifth earning his second top five run of the weekend. Mock rebounded with a brilliant charge back through the field after his flat tire to earn sixth. Wayne Modjeski, Jeremy Schultz, Bill Wirth and Kris Spitz comprised the top ten finishers. 16 cars were still on the track at the checkered flag. Heat race victories were captured by Wirth, Schultz and Balog. The qualifying times for the night were extremely close on the well prepared track with Whitney’s 12.253 second mark showing the way. Wilson was second quick at 12.431 seconds and Balog was third quick with a lap of 12.483. 14 cars qualified within one second of Whitney’s near record setting lap. 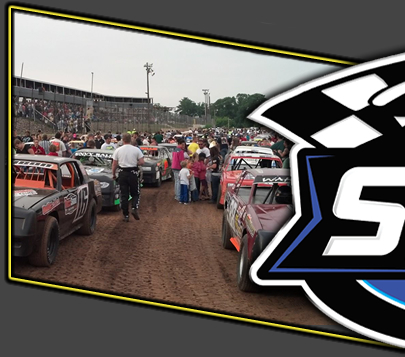 The Bumper to Bumper IRA Sprints will make their next appearance at Wilmot Raceway on Saturday night, July 20th with the IRA vs. All-Star Circuit of Champion Sprint Challenge. 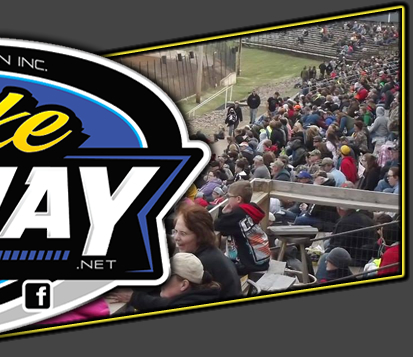 The top drivers from the Bumper to Bumper IRA Sprints such as Balog, Schultz, Sexton, Neitzel, Fassbender, Mock, Kertscher and Borland will challenge the hardest chargers from the All-Star Circuit of Champions including Dale Blaney, Tim Shaffer, Danny Holtgraver and Cap Henry. Last year the All-Stars captured both first and second place with Blaney taking the win over Schaffer. Balog represented the best run for the IRA with a third place finish.